Time to sell your home in Quail Creek? Read about today's home buyer. 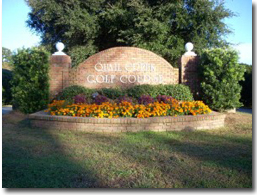 Quail Creek Estates and Quail Creek Villas are located in the peaceful town of Fairhope, Alabama. A suburb of Mobile, Fairhope is an ideal place to raise a family and is only half an hour away from downtown Mobile. The school district in this area of Baldwin County boasts some of the best schools around, giving you peace of mind about the quality of the education your children get here. Quail Creek is only minutes away from Fairhope’s schools, shops, and restaurants. For those who prefer a sport with a faster pace, there are tennis courts available. If you like to play regularly, you may want to consider signing up for a membership at the clubhouse. An outdoor pool surrounded by a spacious sundeck makes for the perfect place to enjoy Alabama’s sunny weather without straying far from home. Quail Creek is also only a few minutes away from Mobile Bay, where you can enjoy a weekend fishing out in the water or just sail around the Bay. Orange Beach and the Gulf of Mexico are less than an hour south of Quail Creek, which is perfect for day or weekend trips down to the beach. If you need further info, have questions or would like to schedule a viewing for any of the homes for sale in Quail Creek or any other properties in the area, please email info@condoinvestment.com or call 251.Area.Pro (251-273-2776) for immediate assistance.